If PCBs are found on a site, here are the steps FMs should take to remove them so as to reduce the potential for lawsuits. If identified PCBs are to remain at the site, a management plan should be developed and implemented. Under the management plan, staff at the site must work with the EPA regional PCB coordinator to manage the materials in place. If PCB-impacted materials are to be left in place, the management plan will typically include an ongoing surveillance program, including surface and air sampling. Additionally, building owners are typically required to record a deed restriction indicating the presence of PCBs at the site. • Ensure ventilation systems are working properly and are routinely inspected. • Encapsulation by means of a coating material may help reduce air emissions from PCB sources. • Use wet cloths when cleaning surfaces. • Never sweep with brooms; instead use vacuums with high efficiency particulate air (HEPA) filters. 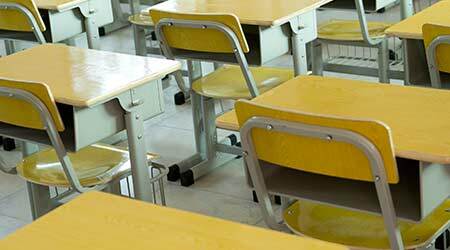 • Reduce dust and residue by frequently cleaning inside schools. • Wash hands with soap and water before eating. David Schack (David.Schack@altaenviron.com), CAC, CDPH-IA, is vice president of building services, and Scott Nunes (Scott.Nunes@altaenviron.com), CAC, CDPH-IA, is a senior consultant/project manager with Alta Environmental.